You will find us in the heart of all major cities and we continue to represent your point of view as a business leader both locally and nationally. Our objective is to ensure your views are taken into account when the government is reviewing policy, legislation or seeking the opinions of the wider business community. Membership will equip you with a range of resources – including access to business information, training, professional expertise, networking opportunities and flexible working spaces – all of which are designed to help you strengthen and build on your own success. Our renowned Chartered Director qualification and training portfolio will provide you with the platform to hone your skill set and reach your full potential as a business leader. There is little telling what the coming years will hold for UK business. However, there is one certainty – the IoD will maintain an unwavering commitment to support our members, encourage entrepreneurial activity and promote responsible business practice for the benefit of our 30,000+ members and the business community as a whole. Make sure you structure your plan. Business planning is particularly important for businesses targeting high rates of growth. There are four key stages in the business-planning process: clarifying your strategy; developing a marketing plan; drawing up an operational plan; and finally translating all of this into financial forecasts. There is a highly skilled workforce within a number of world leading sectors and markets where there may be 40 to 50,000 jobs created in the next 5-10 years. It is committed to developing its infrastructure links. Its position means the M6 motorway provides a direct route to the north and south and the M65/62 east to west, by train you can be in London in two hours and Glasgow in two hours 20 minutes. It has some excellent further education colleges, private providers and higher education institutions. It is also a fantastic place to live from rolling hills to scenic coastlines busy cities to picturesque villages. House prices mean you can have a great quality of life for a fraction of the cost of other areas in the UK. Boost is committed to helping Lancashire businesses grow and prosper. It has already helped to add millions of pounds in GDP and create thousands of jobs for businesses within the region. It is also entirely complimentary to the aspirations of the IOD by supporting the business leaders we seek to inspire. 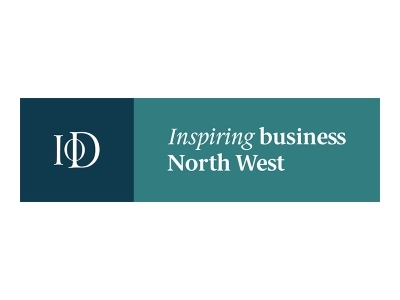 The IoD Lancashire is a community of passionate, inspirational UK business leaders whose membership allows them professional training opportunities and access to essential help and resources, for better directors, a better economy, and better business. BOOST matches that seamlessly, we are perfect partners!